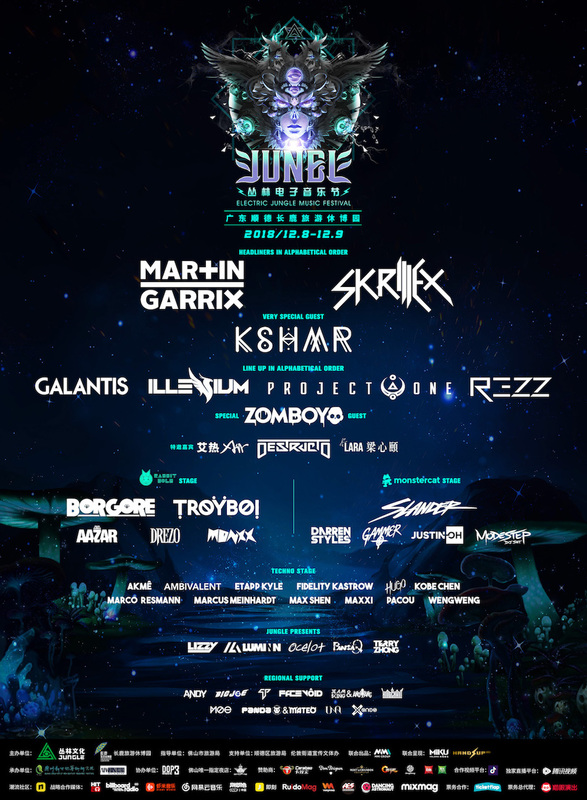 Electric Jungle Music Festival is one of the largest and most influential annual electronic dance music events in China. In our 4th edition of the festival in 2018 this year, we are scaling the event to 3 stages, featuring more sub genres of electronic dance music, inviting over 40 groups of artists, and building an environment that leaves dance music enthusiasts with an unforgettable experience. Full line-up: Skrillex || Martin Garrix || Kshmr || Galantis || Illenium || Project One || Rezz || Zomboy || Desctructo || Borgore || Troyboi || Slander || Gammer || Modestep || Aazar || Drezo || Monxx || Darren style || Etapp Kyle || Fidelity Kastrow || Marco Resmann || Ambivalent || Akme || Pacou || Marcus Meinhardt and many more. 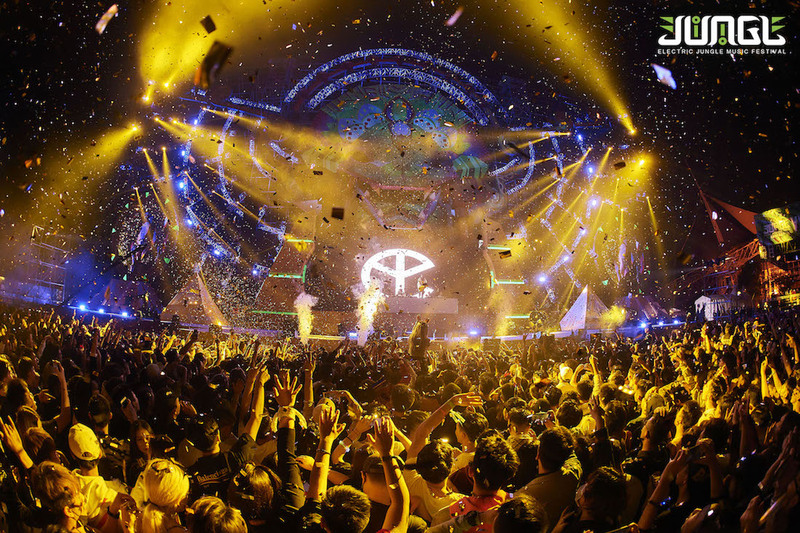 On this December 8th - 9th, expecting over 60,000 ravers will gather together in Electric Jungle to enjoy the fullest sensory experience of electric dance music in China ever. And in techno stage, we invite the best techno label of Berlin Music Commission “Listen to Berlin” to join us, gathering all the talented DJ from Berlin top-level night clubs to take your breath away.